Ready to make your schooling pay off? SectorReady.org is here to help you plan for your career, find resources to remove roadblocks to your goals, and pinpoint the training needed to get ahead. Best of all, your career journey is backedwith live and local customer service through the Job Centers and other workforce partnerships. 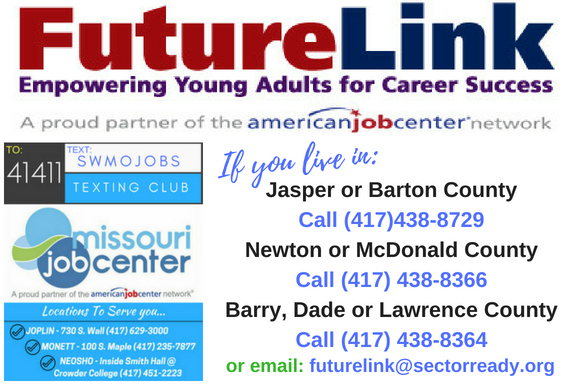 For those age 16-24, FutureLink provides education, training and support services to disconnected young adults facing educational and economic barriers.